Universal Studios decided to stage the première of Fools Highway far from the glittering lights of Times Square. Instead, they selected the Atlantic Garden, a seedy movie house, at 50 Bowery, that normally offered a steady diet of tenth-run photoplays. There were reasons for this rather odd choice. 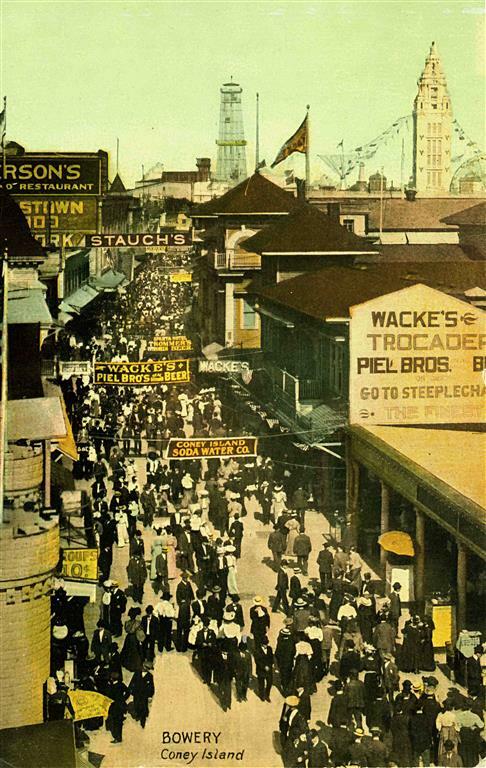 Based on the novel My Mamie Rose, the film centered along the Bowery at Pell Street during the 1890s. The neighborhood reconstructed on the back lot with the “L,” the street cars and buildings. 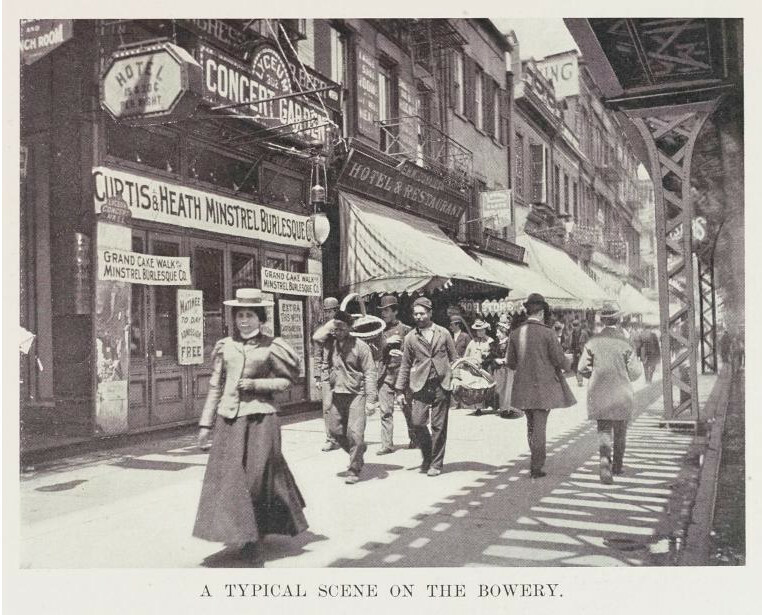 From old photographs, Steve Brodie’s saloon and other resorts along the Bowery recreated. Established by William Kramer in 1858, the Atlantic Garden was formerly among the most notable of the old haunts. 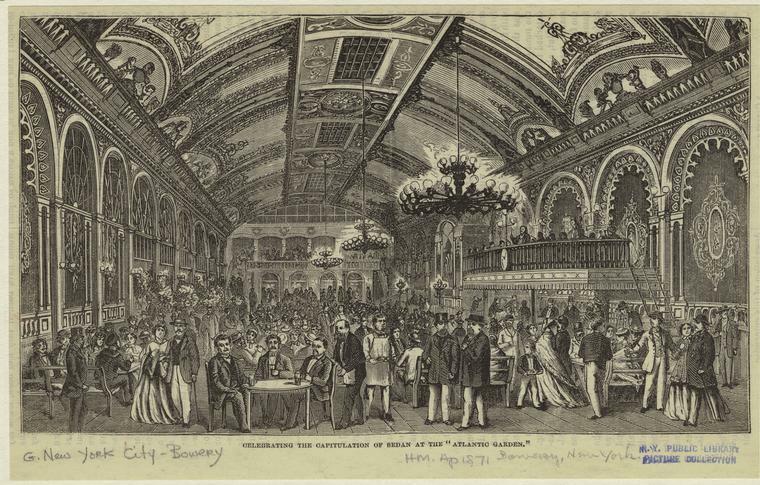 A large hall extending back to Elizabeth Street, it could hold more than a thousand people while offering a variety of events and amenities. As the Garden’s best years faded into the past, it became a Yiddish theatre and then a boxing arena before turning to motion pictures in 1919. 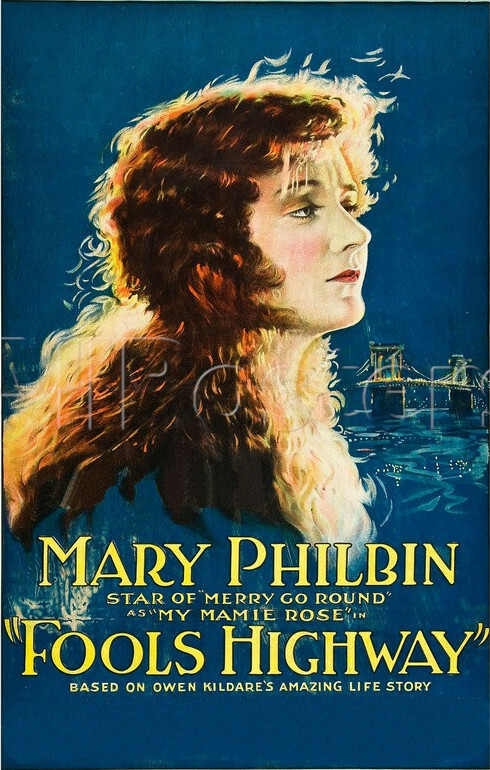 On February 29,1924, a bit of that past would be recaptured with the opening of Fools Highway starring Mary Philbin. 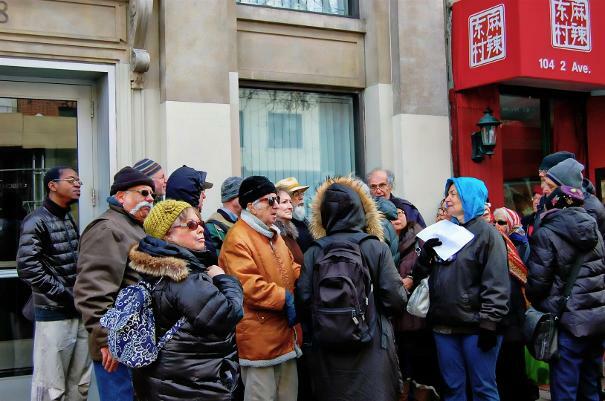 “Elaborate preparations have been made for putting the Atlantic Garden, one of the landmarks, of the Bowery, back into the period when it was a popular eating and entertainment establishment. Among the invited guests were George M. Cohan, Irving Berlin, Jessie Lasky.and James J. Walker (standing in for Al Smith, whose official duties kept him away). The Sun and the Globe reported a rumor of notable gangsters in the audience. The air of nostalgia continued with a stage presentation featuring performers that had once graced the stage of the Atlantic Garden. Harry Von Tilzer sang a few favorites, accompanied by a ladies’ orchestra, two members of which had played in the first ladies’ orchestra at the Garden. In terms of publicity the evening had been a triumph, but the reviews for the film were less than ecstatic. With Hollywood gone, the old Garden sank back into its misery, closing in 1928 as a “cheap Bowery restaurant.” In that year the exteriors altered on Elizabeth Street and on the Bowery. The interior gutted with only a few architectural elements remaining. Those were lost in a 2013 battle for preservation.